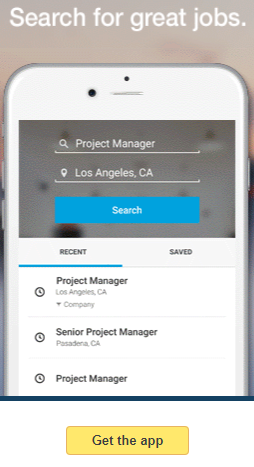 Harness the power of LinkedIn’s latest launch of its Mobile Job Search App and take control of your job search efforts anytime, anywhere. It is robust, convenient, and private — and free! Download it here: LinkedIn Mobile Job Search App. Once on the page, you can navigate to iTunes to download it for your iPhone or from Google Play for your Android. Do You Have Appeal At Interviews? I’m Changing Careers — How Do I Format My Resume? I Don’t Need A Resume. Pretend for a moment that you are a hiring manager. The receptionist knocks on your office door and announces that Mr. Smith has arrived to interview for the currently advertised pharmaceutical sales representative position. Baffled, the hiring manager states that there must be a misunderstanding because she never scheduled Mr. Smith for an interview. She instructs the receptionist to tell Mr. Smith to forward his resume and cover letter to express his interest in the company and the position. Some people might think the hiring manager should have interviewed Mr. Smith since he showed an effort to apply for the position. Others would have done exactly what the hiring manager did. Why? Because she didn’t know anything about this candidate. She would have been unprepared to address his qualifications without having had the opportunity to review his resume beforehand. What’s more, she really didn’t understand what his situation was or if he even qualified for the job. For example, does he have a required bachelor’s degree? Does he have sales experience? Is his background in bio chemistry, pharmaceuticals or in medical equipment sales? Is he a job-hopper? Was he out of work for many years? Is he changing careers? Did he recently relocate? These are all very important factors to consider when trying to paint a picture of a candidate to get a feel for who they are and how they would be a good fit for the company. This is why it is so important that a resume is sent first so that the hiring manager can PRE-QUALIFY a jobseeker. This saves a lot of time and hurt feelings. After all, why would the hiring manager want to spend a half hour interviewing a candidate that does not qualify for the position? If every unqualified candidate showed up unannounced and was interviewed, there wouldn’t be time to interview the qualified candidates! Believe it or not, there are still occasions when a resume is not needed. But, that is only when a company invites applicants to fill out a job application form or if there is a mutual acquaintance who puts in a good word for the candidate, and the hiring manager schedules and interview without needing to see a resume. Keep in mind, the hiring manager has been introduced already by the mutual acquaintance who has done the job that the combination of a resume and cover letter — the dynamic duo –is intended to do: to introduce them to the reader and to provide a professional background and expressed interest in a company and a particular position. You spend a lot of energy making graduation plans, but do you have a plan of action for after graduation to jumpstart your career? Many people struggle with career choices before making that important life-changing decision that will define who they are for years to come. It is hard to imagine that a new graduate would still struggle with what they want to do with their new college degree. Even if they know, they might not know the next step to take. This article will give a few pointers on how to get started with a plan of action. Congratulations, you’ve just graduated or are planning to graduate soon with a degree in your chosen field. After you plan a graduation party, your next step should be focused on starting your career. Like a young racehorse at the starting gate, you have tons of energy and determination, and are anxious to get out there and seize new career opportunities. But are you ready? Do you know what you need to do? Do you have a plan of action to turn those opportunities into a reality? If you don’t, you will need to get one. I’m sure you’ve heard the old adage that the quickest route from point A to point B is a straight line. Well, jumpstarting your career is no different in terms of setting your job search goals and carrying them out diligently and methodically. You might have a few corners to navigate, but you should do your best to avoid deviating from your goal as much as possible. One of the first things you need to decide is what type of job interests you the most. Depending on what your degree is, there might be many positions in your field to consider. For example, if you are a graduate nurse you can work in a hospital, clinic, nursing home, childcare center, school, private practice, or field setting. Then, within those settings you can work within various units such as medical-surgical, pediatrics, and maternity. Then there are transitional opportunities. Let’s say you tried your hand at nursing and realized it was not what you expected. You can always consider pharmaceutical sales as a new career. Some fields, such as business management, are even more flexible. The key is to decide which direction you are headed towards and learn as much about that field as you possible can. Okay, you hate to admit it, but you spent all of that time and money, but you’re still not sure what you want to do. You have an idea about what you might want to do, but it’s just not clear yet. None of the possibilities you’ve explored get you excited. In fact, you’re feeling downright frustrated and depressed. Don’t worry. It really isn’t that bad. Keep in mind that you don’t have to start at the top, and don’t have to commit yourself to an employer. So don’t put so much pressure on yourself. Maybe you just need to get your foot in the door somewhere to test the waters before you decide to go full steam ahead. You might even want to spend the first year to discover what it is that you really want to do. That way your mind will be open to possibilities and you will have a positive attitude. Just don’t waste time. Set weekly goals. Use that year to WORK at finding out what you want to do. Then prepare to do it – and do it well. If you want to explore your career without the assistance of a job coach or career counselor, a good way to start is to conduct some independent research. Let’s assume your degree in is law enforcement or criminal justice. You will need to decide if you want to work in corporate security or private investigation. But how do you decide? Well, if your college’s career center cannot provide you with specific information, visit Occupational Outlook Handbook online (https://www.bls.gov/oco/) to get an overview of various positions in your field. Join industry specific chat rooms to see what everyone is talking about. Go to the websites of various companies. Get involved in conversations. Ask lots of questions. Get advice from friends, family members, and neighbors. Ask them what they do and how they got started. If you are not sure if a particular area of your industry is right for you, call or write professionals already in positions of interest to request an information interview. An information interview will allow you the opportunity to question a professional about the nature and requirements of a position. Some people will not be available, whereas other people will welcome the opportunity to give you fifteen minutes of their time. If someone avoids you, don’t take it personally. Just move on to the next possible contact. Once you make a connection, you will need to be polite, organized, and demonstrate exceptional professionalism and communication skills. During your information interview, remember to take detailed notes. When you are done, thank them wholeheartedly for their time. Be sure to get their full name and contact information so you can send them a follow-up thank you letter. They might even have an opening, so be sure to make a good impression. Once you have narrowed it down, have your resume developed professionally and post it on major job boards, such as monster.com, careerbuilder.com, and hotjobs.com to see what contacts can be made. While you are there, search job openings to glean what the job descriptions are so you can see what will be expected of you. Your resume writer will probably want you to do that anyway so they can get a good idea of the jobs you are interested in to ensure your resume is very targeted. Be proactive and tell your resume writer that you have done that and would like to share that information with them. Okay, so now you know what you want to do and you have a great resume and cover letter. Now what? You’ve probably heard how important networking is – that it’s not what you know but who you know. Well, that’s not always the case; but knowing the right person sure can’t hurt. With that in mind, let everyone you come in contact with know you are looking for a job. Be sure to keep your resume updated and in your car (protected from spills and creasing) so you can hand them out at a moment’s notice. Join an organization to become acquainted with people in your industry, attend career fairs, become affiliated with recruiters, and research companies online (post your resume at their websites), at the library, and even in the yellow pages to get leads to mail your resume and cover letter. This last approach is a great strategy. Let’s say you recently graduated with your Masters in Social Work. You can open your yellow pages to Adoption Agencies to acquire the mailing addresses of several social service agencies. Be sure to call the receptionist first to request the proper name, title, and department of the contact to send your resume and cover letter. Other strategies include creating a web resume so people can view your formatted, interactive resume online. If you don’t know how to do this, research how or hire someone to do it for you. Be sure to have business cards made and add your web resume address to it! No matter what your plan of action is, be sure to keep organized notes and track every move you make. Prepare a list of names, company names, addresses, telephone numbers, fax numbers, email addresses, and website addresses. Keep the list near the phone of every company you sent your resume and cover letter. That way you will know whom you are speaking with when they call to extend an initial or follow up interview. This is especially important if you are going on several interviews. If you are not organized, you will get confused and seem unprofessional. You will want to make a great first impression from the very beginning, starting with a great resume and cover letter. If you have your baby sister’s cute little voice or a musical greeting on your answering machine, replace it with a professional message that says, “You have reached John Smith at 555-5555. I am not available at this time. Please leave your name and reason for calling. I will return your call as soon as possible. Have a great day!” If your email address is bowlingkingpin@aol.com, be sure to change it to JSmith1234@aol.com. If you are on the road all of the time, or if members of your family do not speak English, get a cell phone so you can be reached anytime, anywhere. List that number as your only number without the word “cell” listed on your resume. If you list both your home number and your cell number, then indicate which number is your home number and which number is your cell number. They will probably call your home number first. If you have a lot of friends who call you on your cell, be on guard to answer your cell phone professionally. If you are going on an interview, leave your cell phone in your glove compartment. You don’t want your cell phone to ring in the middle of the interview. Be prepared and on time for the interview, if not early. Make sure you have several outfits to wear to go on several interviews in a week’s time so you don’t stress. Make sure you dress appropriately for your interview. You can’t go wrong if you are conservative. If it is a creative industry, you can dress with more flair or even casual, but don’t dress too crazy. Have extra resumes handy (don’t bring your cover letter) to give to the hiring manager so he/she can distribute them to other managers without having to make copies. Practice your interviewing technique. Ask a friend to role-play with you. Get a book with commonly asked interview questions. In addition to learning what to say, you need to learn what not to say and what not to do. Send out thank you letters within 24-hours that mention something important discussed in the interview keeping the position in mind at all times and reiterating your strengths. Above all, be professional in behavior and appearance, knowledgeable, enthusiastic, organized, interested in the company and position (have about ten questions to ask them that have nothing to do with you), and try your best to be interesting when you talk about your experiences, regardless how limited they may be. If you are nervous, keep in mind that you are interviewing them, too. You don’t want to work for just anyone, do you? Be sure to convey that. You don’t have to be arrogant about it, but you should come across as a commodity, not as a desperate, nervous job seeker. If you think like that, your confidence will shine through naturally because you will feel good about yourself and will be ready for anything! Before long, you’ll be jumpstarting your career. Are you listening to that little voice in your head telling you how much you dislike your job? If not, you may become angry with those around you, when in fact, you’ll be angry at yourself for failing to taking the necessary steps to change your career — or job within the same industry. Career change is not always easy. For some, the simple task of deciding what to do is often the hardest part. For others who know what they want to do, they often feel it will take too long to achieve their career goals when there are bills to pay. Don’t quit your day job just yet. Launching a business is a challenge in itself. Regardless of size, any worthwhile business takes a lot of planning, development, and maintenance to compete and stay in business. The key to successful business ownership begins with a passion to do something you enjoy, followed by a financial investment that depends on the business. Sometimes it is minimal, requiring a small space and general office equipment. For larger ventures, a business loan from a bank or the SBA might be necessary. Still, it takes time to turn a profit right away. So, if you can, start small while working full time and gradually build your business until you feel secure enough financially to leave that steady paycheck to take your business to the next level. You can always hire part-time employees, student interns, friends, and family members to help you in the beginning and in the long run. You don’t always need to attend college full time. If you took a few classes each semester, you’d be amazed how happy you’d be just knowing you are working towards your goal. And, it doesn’t always need to be a four-year college. Maybe there is a vocational school that offers the type of academic training you need to make a career change in a shorter period of time for a fraction of the cost. Other options include distance learning programs where you can study in the comfort of your own home at your own pace. Visit our Education resources section under Career Links to research more on distance learning. Sometimes happiness is only a department away! If you work for a proactive company that posts job openings internally, this might be the perfect opportunity for you to change careers while growing with the same company. Your career change can be very drastic if you have a supportive company that is willing to train you. Best of all, they might even pay for you to attend college to prepare you for that career change. If they don’t post internally, keep your ears open to learn about new business development within the company. Speak with your human resources representative to inquire about career growth opportunities and what you need to do to make a career change internally. Sometimes you know better than anyone in the company what is needed. If you can put a business plan together to present to management illustrating how this new idea would benefit the company financially and logistically, you might succeed at creating a new position–or even a new department! This is a great way to do what you do best in a new capacity because you will be the person who will determine what the job description will be! Pretty cool! Again, don’t quit your job just yet! You are always more marketable when you have a job. If you are ready to take drastic measures to find overnight career happiness, you should have your resume and cover letter professionally prepared to answer those classified ads in the newspaper or online. Visit our Job Banks section under Career Links to conduct an extensive job search campaign. Even if you are just exploring the possibility of changing careers, this is a good exercise to see how marketable you are (how much money you can make), develop your interviewing skills, and to learn about what’s out there beyond the walls of your office cubicle! Sounds crazy right? How many times have you heard someone say, “I used to work doing such and such. It didn’t pay that well, but I loved it.” It is not uncommon to leave what we love because it doesn’t pay the bills. Money seems like everything these days. But, when we’re unhappy, we know it’s really not. We need to find a compromise–something we enjoy doing that will make us want to get up every morning so we can live that old adage that claims you’ll never work a day in your life if you work at doing what you love. Does Your Resume Have Bells & Whistles? There are ordinary, straightforward resumes that are considered conservative and traditional. You’ve seen them many times. In fact, your resume might fall under this category. Sometimes conservative is preferable, especially if the field is clinical or academic. However, there are ways to create interest without going overboard. Plainly prepared resumes do little to convince a hiring manager to read beyond the first few lines because nothing stands out and the resume fails to tell a professional story. Sadly, there is probably a lot of good experience being overlooked. A resume has a purpose – to convince a hiring manager that you are the right candidate. To ensure you do that, start with a format. It should be consistent in font, indents, bolding, bullets and line choices. To make yourself clear, use an objective statement instead of a standard objective. It is a direct, in-your-face way to immediately communicate what type of candidate you are. For example, instead of including a standard Objective category followed by a typical statement that reads, seeking a position in customer service utilizing extensive experience and education, start the resume off with, Customer Service Representative. Plain and simple, in all caps and bold. Instead of including a standard Summary of Qualifications category filled with attributes that say what everyone else’s resume is saying, such as excellent communicator and team player, list what the employer is looking for. You can get this information from the job ad requirements. For example, if the position is Project Manager, make sure you have a subcategory about Project Highlights. If the job title is Training Facilitator, make sure you include a subcategory about Training Facilitation. You can place these subcategories under your Profile section at the top of the resume. Remember, you want to GRAB their attention, not bore them at the onset. It is always a good idea to include a brief overview of what the employer is about so the reader can appreciate your role. You can find this information under the About Us section on a company’s website. Modify their information and only include a line or two that covers the type of industry, its products and services. Instead of jumping right into what you do line-by-line, group all your day-to-day experience in a paragraph and list your most interesting experience under a subcategory called Select Achievements, Core Contributions, or something along those lines. Then bullet those select statements. Testimonials, media mentions and special awards are good things to add to a resume. But it has to be done properly. You can format the resume in a way that includes a panel on the side to place an excerpt in italics, followed by the person’s name or job title or both. Another way to include special mentions is to include a line above and below the statement to create a visual border before the Professional Experience section to create a natural divider that also contains the testimonial. If you are a Program Manager, emphasize the programs your planned, developed and implemented under a Program Coordination section. If you are an Information Technology professional, list your Project Highlights and Technical Expertise. If you are a teacher, list Lesson Highlights. It is a job seeker’s prerogative to be interested in a particular type of position. This often means a total career change, and a reality check. Your current position bores you. You’ve stayed in it way too long because you needed the security of a weekly paycheck. Now you have found yourself in a situation in which you need to find a new job. Should you apply for the same boring position as your last one or reinvent yourself and follow your dream job? The answer is surprisingly simple and complex at the same time: Yes, you should follow your dream job. If you cannot afford to do this immediately, apply for the boring position and prepare yourself for the second position part-time if you can. When you are ready, do not expect the job search to be quick or the pay scale to be more or even the same. Depending on how broad the gap in experience and requirements are, the steeper the learning curve. The steeper the learning curve, the less leverage you will have in negotiating your desired salary. This is because the hiring company is going to train you, and takes that into consideration when making an offer. Many job seekers make an emotional decision without doing their research to see if they really understand what the position is about and, more importantly, if they qualify. Being qualified is not limited to experience and abilities. It extends to technical qualifications and credentials such as a required degree or state licensing. Last, but certainly not least, job seekers fail to properly create a resume that showcases their transferable skills. Worse, they do not write a compelling cover letter acknowledging that they are changing their career and outlining what they feel are their best qualifications for the new position. When we say outlining qualifications, we’re not talking about communication skills and ability to work well with others. We’re talking about tangible experience, even if not an exact match. Do not make the common mistake in confusing qualifications with attributes. Even if a job ad specifies that the qualifications include many attributes, list these items sparingly and offset them with real specifics such as number of years of experience, industry knowledge, technical skills and required credentials. Speaking of job ads, which is exactly where you will find the information you need to determine if this type of position is right for you and if you qualify. Let’s take nursing for instance. Maybe you’ve always wanted to work in a position caring for the elderly or helping people recover from surgery or trauma. Your current position as a customer service representative (CSR) is okay, but it does not fulfill you. Your company is now relocating and you do not want to move that far. You are in a situation where you will collect unemployment and a severance package, giving you six months to find a new job. You do some soul searching, speak with friends and family members and decide that you want to be a Surgical Technician. Well, that’s half the battle. Many people have difficulty just making a decision about what they want to do.